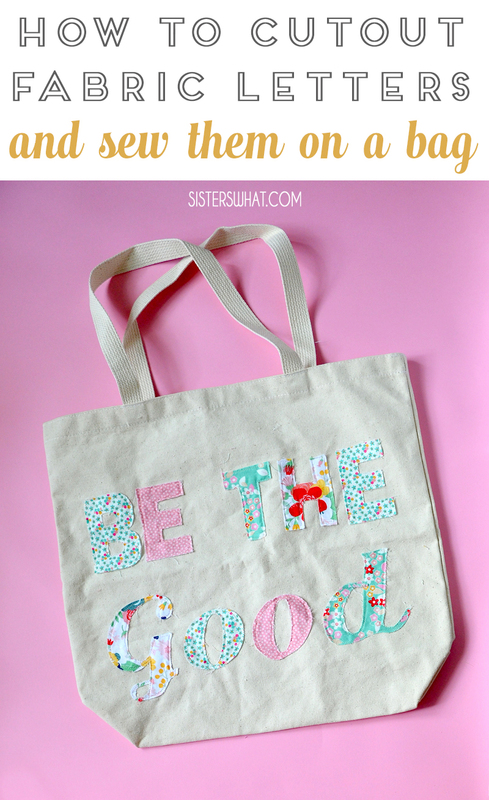 ' How to Cut out Fabric Letters and Add to a Bag - Sisters, What! 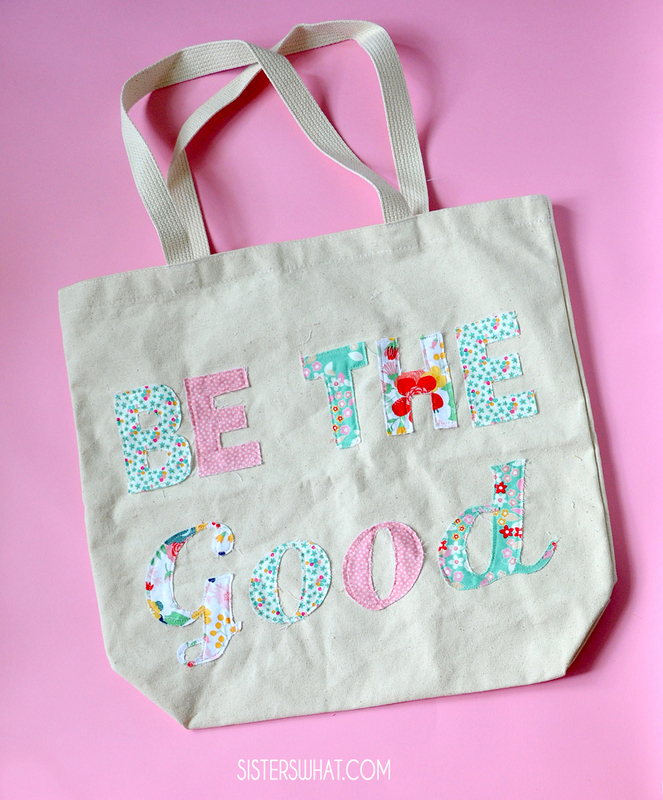 I loved how his teacher one turned out, that I ended up making a "be the good" for us. I love all the scrap fabrics and how they come together so nice. Because I know not everyone has a cutting machine, I did include a tutorial on how to make one of these bags without. It might take a bit longer, but the result can be the same! 1. Type up your words on a word document to the size you want on your bag. Grab some freezer paper and cut to 8.5x11 size. You can tape it to card stock SHINY side down to make it more secure going through the printer. Again, you want to print on the NON-SHINY side so make sure it is place into the printer properly. 1. Using a thin fusible interface, iron on to pieces of the fabric. In your cutting machine program, design your image and size it accordingly. Then place your fabric/interface on your mat and cut according to your machine direction for cutting fabric. 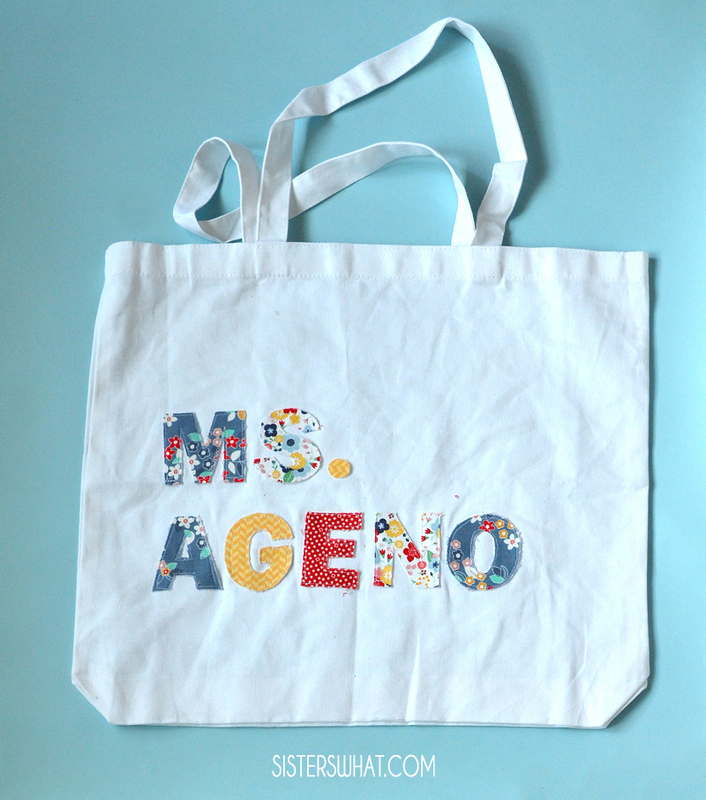 *If you used double sided interface you can skip the glue and iron on the letters to the bag. 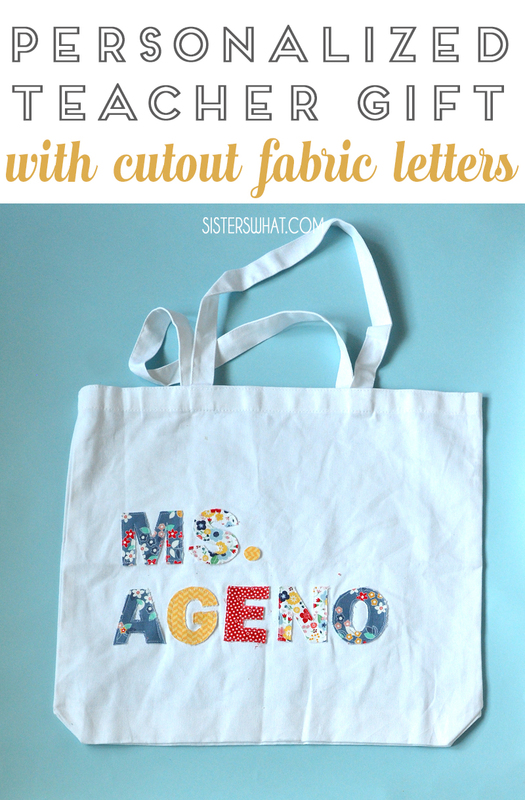 Now that you have your letters cut out, using the fabric glue, attach letters to bag. Let it dry. You can stop here and be finished.